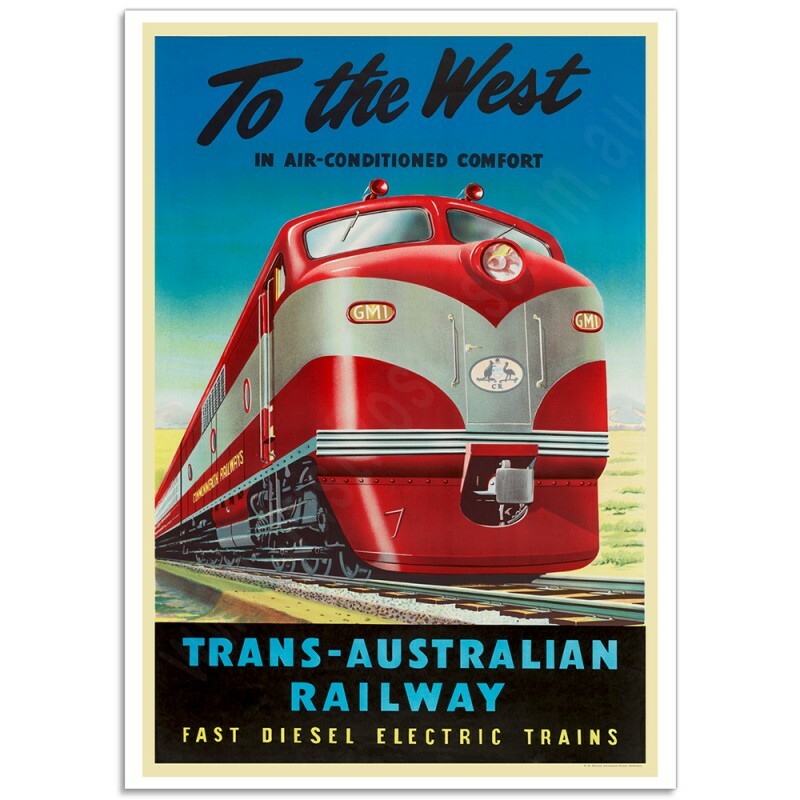 "To the West in Air-Conditioned Comfort"
Fast diesel electric trains to Western Australia by Trans-Australian Railway. The Trans-Australian Railway crosses the vast expanse of Nullarbor Plain, from Port Augusta in South Australia to Kalgoorlie in Western Australia, a distance of 1711 km (1063 miles). 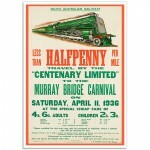 Work started in September 1912 from each end and the rail work converged on 17 October 1917. 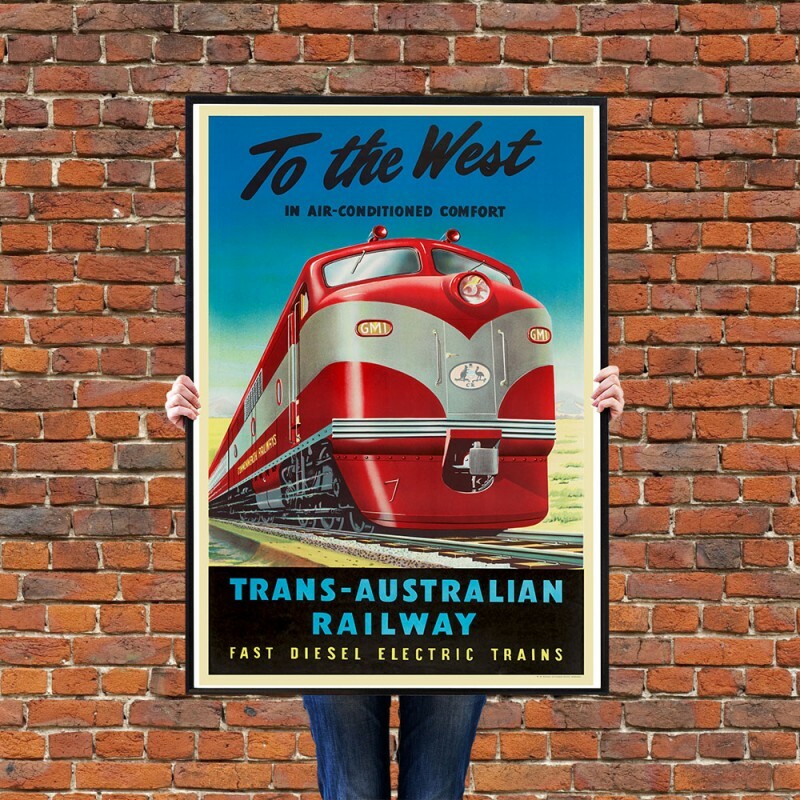 The railway track was built to a standard gauge, despite the fact at the time the Western Australian and South Australian state railway systems were narrow gauge. 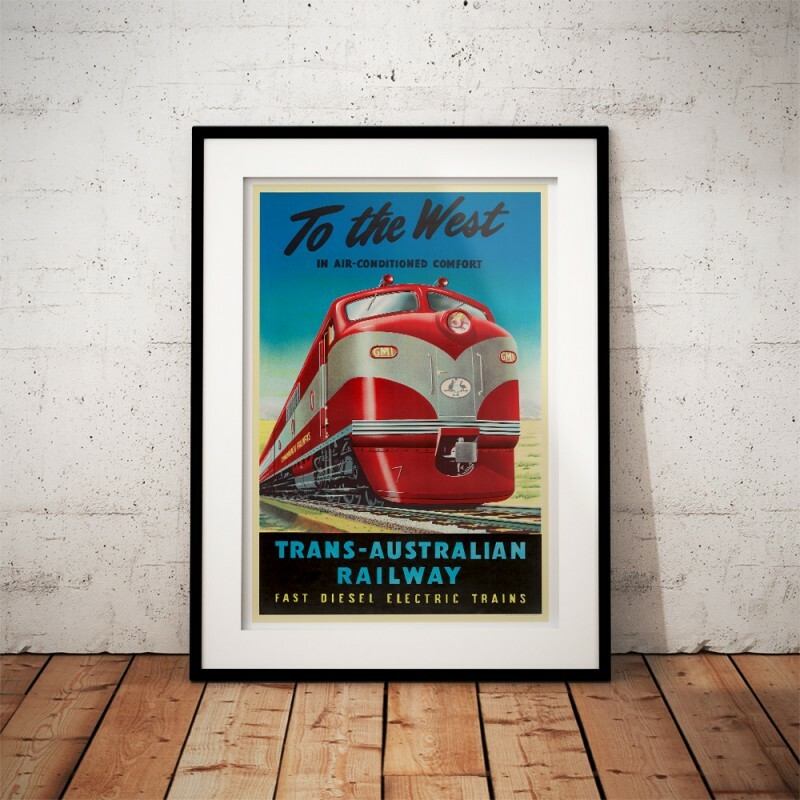 Work on the Sydney and Perth Standard Gauge was completed in 1970 and the iconic Indian Pacific train was unveiled. 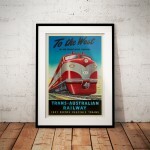 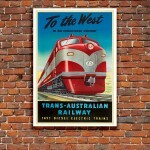 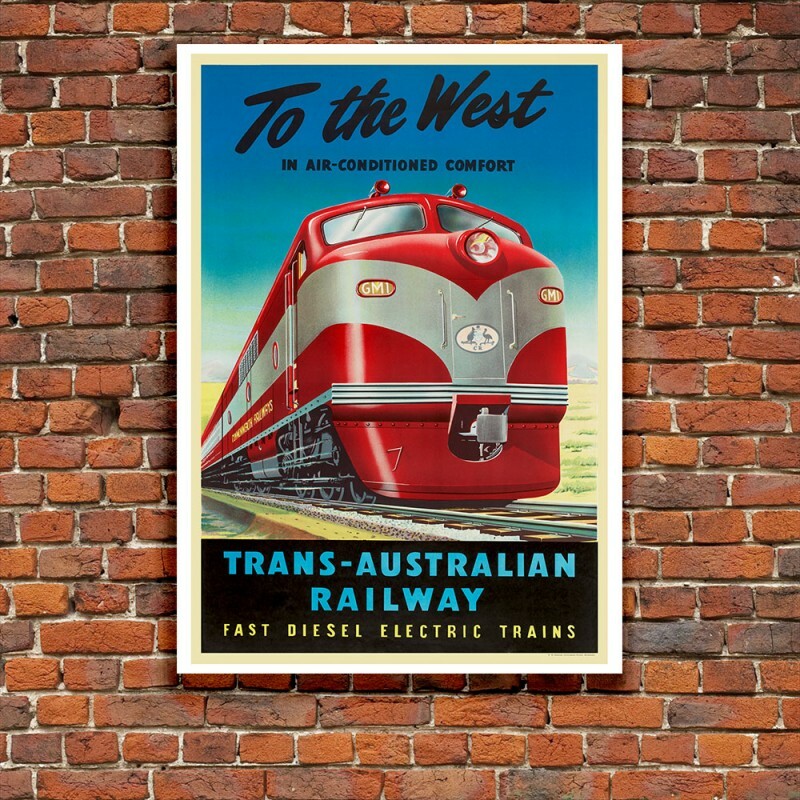 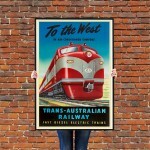 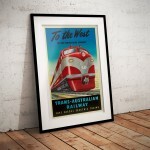 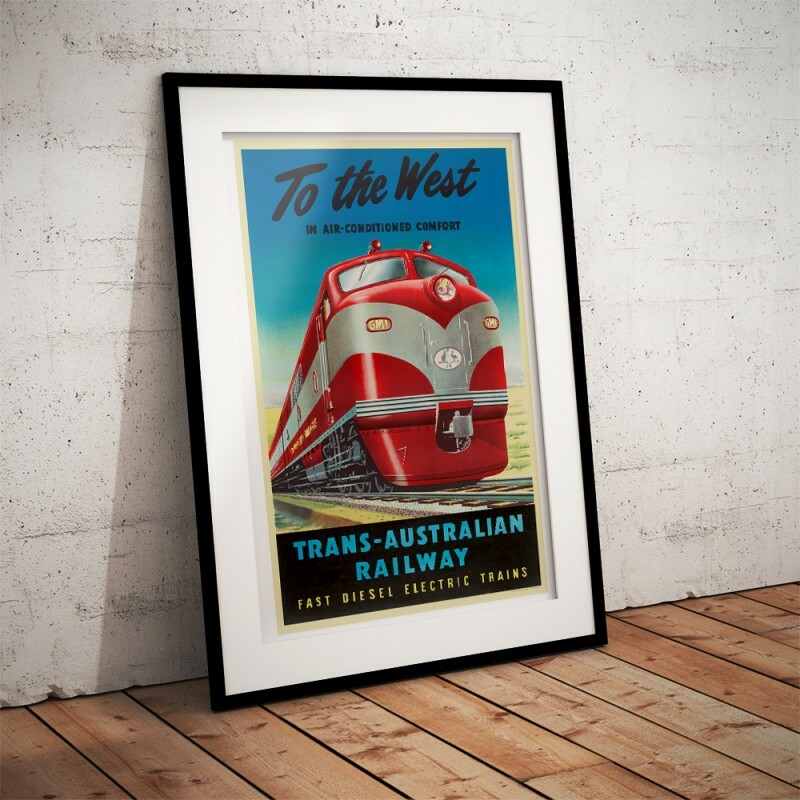 The 'To The West -Trans-Australian Railway' Poster has been created from an original poster. 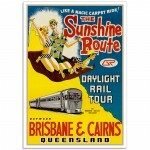 The Sunlander Brisbane to Cairns - Vintage Australian Railway Poster'Like a magic carpet ride! 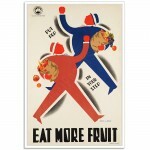 'This ..
Eat More Fruit - Vintage Victorian Railway PosterPut Pep in Your Step The Original Colour Lithograph..